When it comes to gambling, state officials act like they're running a monopoly. Their actions would be familiar to any mobster protecting a numbers racket. Texas legislators are going to have to figure out whether they want to allow the private sector to compete with the state’s billion-dollar gambling business. The state is acting like a monopolist — or Al Capone. That’s probably not what the state’s policymakers were thinking about when they started throwing up obstacles to historical racing and fantasy sports sites, and to ideas for mixing new kinds of gambling into the state lottery. Their intentions don’t matter, though. What matters is the effect of their actions. And their actions would be familiar to any mobster protecting a numbers racket. The state depends on the lottery for some of its money. 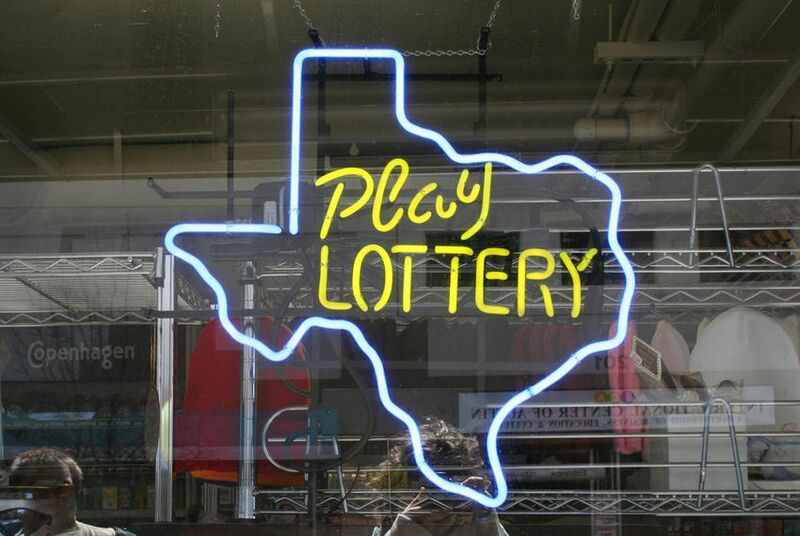 Texans bet $4.53 billion on the lottery’s games in the 2015 fiscal year. The state’s gaming operations put just under $1.6 billion into the state treasury every year. It amounts to less than 2 percent of state revenue, but it’s still significant. And, as the wizards predicted when Texas voters approved the lottery in 1991, the games have matured and the revenue is slowly dropping. The operations that put $1.58 billion in the state’s purse in 2015 put $1.89 billion in it two years earlier. So lottery officials started looking for ways to freshen things up, to keep players interested. And they are getting their hands slapped for it. In November, Gov. Greg Abbott wrote to lottery commissioners, telling them to stop playing footsie with the companies that operate fantasy football pools. Other states have been experimenting with new games, but Abbott was concerned that even thinking about it might indicate — against his wishes — that someone in official Texas is in favor of expanding legal gambling in the state. Not with this guy in charge. He’s got the Legislature with him on that. Somebody slipped a provision into the state budget that allows the state’s budget writers to micromanage rulemaking at the Texas Racing Commission. That blossomed into a standoff that continues today, with lawmakers saying they will cut off the agency’s funding — and with it, operation of the existing racetracks in Texas — if racing commissioners refuse to repeal a rule that allows “historical racing” at those tracks. Historical racing uses the results of old horse races, with details like jockey and horse names and race dates stripped off, as a basis for wagering. Some historical racing rigs look like slot machines, some don’t. Either way, state officials regard it as a new form of gambling and don’t like it. Track and horse owners think historical racing would bring more money into their sputtering business. But racing doesn’t matter to the state from a fiscal standpoint. It’s an unnoticeable speck in the state budget. Unlike the lottery, lawmakers could dump it without any real effect on state business. It’s not just legislators tapping the brakes on gambling, either. Attorney General Ken Paxton added to the dogpile this week, answering a legislator’s question about fantasy sports gambling by saying he thinks that it is against the law. State lawmakers have consistently turned back attempts to allow casinos or casino-style games. They like the money from the lottery, but you can tell they don’t really like it. It’s not unusual to see lawmakers filing bills that would outlaw the lottery. The Texas House actually voted to abolish it in 2013, reversing itself a few hours later — probably out of fear that they would have to come up with the money somewhere else. Lawmakers don’t want it to get any bigger, if getting bigger means getting into new games that might interest bored gamblers in the state. And they actively discourage competition for it, either from within regulated gambling through the lottery and the racing commission or from outside from the companies that operate sports fantasy games or the ones that build casinos. It’s a protection racket. For now, only the state government is legally allowed to operate gaming businesses in Texas, and they’ve made a lot of money at it over the last quarter-century. That’s easy when the biggest player — the state — gets to decide whether to allow any competition.